Contrary to most people's understanding of Chinese Medicine, it is in fact Chinese Herbal Medicine and not acupuncture that is the most widely used part of the Traditional Chinese Medical System. Chinese Herbal Medicine dates back thousands of years, with the first recognized text book, the Shen Nong Ben Cao, written on it in the first century BC. As far back as humanity existed in China, Chinese Herbalists began to experiment on themselves and their patients, and over the millennia through their direct experience of millions of human trials they discovered which herbs were toxic and could not be used, and which others were beneficial in eliminating illnesses; and also in strengthening and prolonging the life of the human body and mind. Thousands of text books have now been written, describing in vast detail the properties of each individual herb. Books have now detailed over 13,000 different herbs used, with over tens of thousands of herbal medical recipes described for the treatment of different ailments. Unlike Western Medicines, each herbal formula created by a professional herbalist will contain specific herbs tailored to treat not just the ailment that the patient suffers from, but the underlying weaknesses that allowed the condition to materialize in the first place. Thus when a patient has been cured from an illness, there is far less likelihood of that condition or a similar one returning. 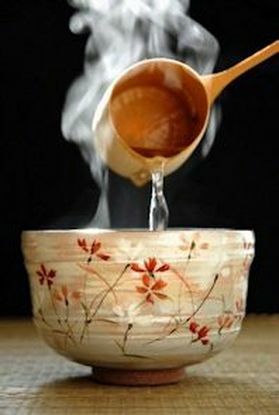 Because each formula is designed specifically around the status and constitution of each unique patient, a good properly qualified herbalist will ensure that there are no negative side effects; thus making the use of Chinese Herbal formulas incredibly safe. In my clinic, most of the herbal formulas I prescribe are in the form of powdered herbal extracts. These are equally as effective as fresh herbs but far simpler to process. Each formula will be made up from a mix of these extracts to produce a recipe solely designed for the treatment of your condition. 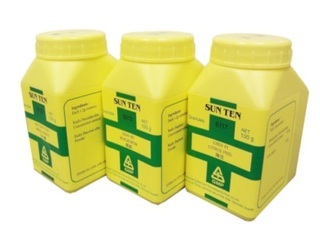 I use only the finest Herbal Extracts available from the Sun Ten Pharmaceutical Company. Their Research And Development Department has over 60 years of experience manufacturing extracts and is now regarded as having the best quality herbal extracts in the entire world. They comply fully to all American and European Standards and their quality is recognised by the NHS in England. Their herbs contain only natural products with absolutely no chemical additives. I particularly chose to prescribe Herbal Powders to my patients as they are so easy to prepare and digest. You simply take a measure of them with the spoon provided in the tub, place it in the bottom of a cup, mix it with hot water and then drink it when it is cool enough to consume. It is an extremely simple process, much like making a cup of tea. Price ~ One full tub of finest quality herbal powders cost only 60 euro. This will last for two weeks. This means that you are only paying 30 euro per week for your Chinese Herbal Medical Treatment !